Guangxi Pingnan MAE lime products of non-metallic materials Co., Ltd.
Guangxi Pingnan MAE lime products of non-metallic materials Co., Ltd. located in the beautiful County of Jiujiang River next to the town Danzhu Guigang City, and adjacent South wu highway, about 100 km east of Guangdong Province, close to seal opening, Jiujiang west by the river road, road, rail transportation is very convenient, water transport through factory about 2000 tons ship, until it reaches ports nationwide. 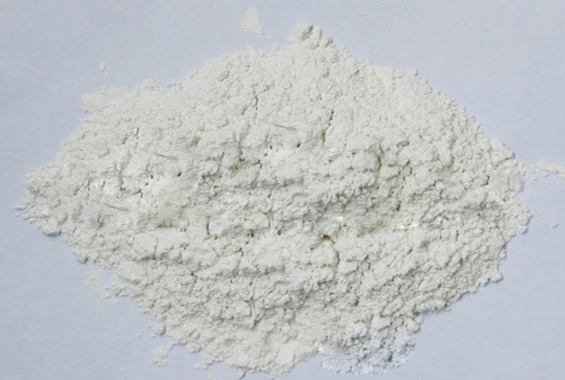 Since its inception, the full use of historical and geographical conditions, with world-famous high-quality limestone and underground mineral-rich, high calcium lime produced more than 96%, processed into composite alkali / alkaline chelated 'Jia Qing' brand, "Jia Jian "" MAE "brand lime powder. "Build good" "MAE" brand lime powder, Guangxi has become a well-known trademark. Guangdong and Guangxi region has in metallurgy, chemical industry, environmental protection, building materials industry in a pivotal role, more than 100 employees, including senior engineer 30%, transport ships and more ships, cars and more cars, modernization of several specialized unloading dock. To expand production, improve economic efficiency, freeing up labor, the company also purchased two new machines modern new annual output more than 100,000 tons, annual sales of nearly billion, for enterprises to lay the economic tide in an invincible position forever a solid foundation for the company to modernize the network, the adoption of computer management, network monitoring. 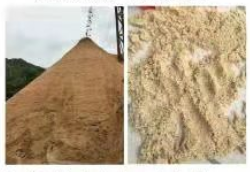 In recent years, due to the joint efforts of the staff and technical personnel, and developed a no residue, no black spots high-tech green lime powder, far ahead in the same industry in Guangdong, Zhaoqing, Taishan, Xinhui, Jiangmen, Yangjiang, Doumen Shunde, Cheng names, Shantou, Qingyuan, Heyuan ,, Shanwei, Huizhou, Guangzhou, Shenzhen, Dongguan, three ice, Hubei, Hunan, West Gang, Hainan, Guizhou, Tianjin, Inner Mongolia, Hong Kong, a distribution at the city's most flat products are: a special high-tech no residue no black spots high levels of environmental protection lime powder, composite base, base substitution, basic neutralizing agent; DCP; A grade: raw, slaked lime powder; B grade: Health, slaked lime powder; level C: Health, slaked lime powder and a variety of specifications lime powder, lime pieces, lime paste, lime tablets, calcium oxide desiccant. Latest production are: limestone powder, Flying powder, dolomite, calcite powder, limestone, calcium carbonate, precipitated calcium carbonate, quartz stone, river pebbles and other products. Products meet national standards, best-selling Guangdong and Guangxi, Hong Kong, Macao, Taiwan and Southeast Asia and neighboring countries and other regions. The future I will continue to show all the products in the Chinese Internet product platform for the development of enterprises, and gradually open up a lead farther, higher and more brilliant bright road. In the new year, my company all my colleagues are determined to forge ahead with the times, I plant for the economic growth, social harmony and make greater contributions. Special high-tech no residue no black spots high levels of environmental protection lime powder, composite base, base substitution, basic neutralizing agent; DCP; A Grade: raw, slaked lime powder; Class B: Health, slaked lime powder; C Grade: Health , slaked lime powder and a variety of specifications lime powder, lime pieces, lime paste, lime tablets, calcium oxide desiccant.